I can’t believe I’m saying this, but our workshop is ALMOST done! It feels like it has been a marathon build, but between my husband being out of commission with shoulder surgery, and trying to save up money for the final steps, it has taken a little while longer than we planned. Plus, things have just been busy! I’m sure you all can relate. I honestly can’t remember what day it is half the time. If you’re new here, we are building a 2,400 square foot workshop in our back yard. Yes, I know that’s huge. It’s 200 square feet bigger than our house! It felt a little excessive when my husband proposed this idea, but I am pretty excited about having so much space to work with. You can read about the beginning stages of it HERE. This picture shows the shop in the lath stage. The stucco was actually finished this past weekend. The drywall is also finished and we just installed the baseboards this week. 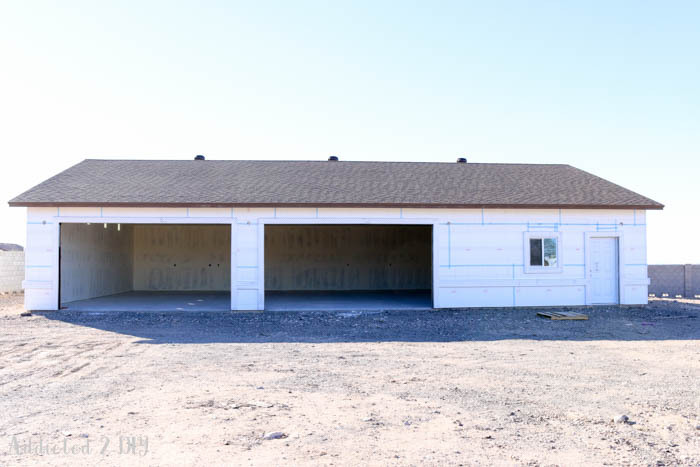 All that is left before the final building inspection is to paint the interior and then wire in all of the outlets and lights. It may not sound like a lot, but there’s A LOT of outlets and lights. What this means is that I have a blank canvas that needs to be filled with all sorts of storage, workbenches, etc. 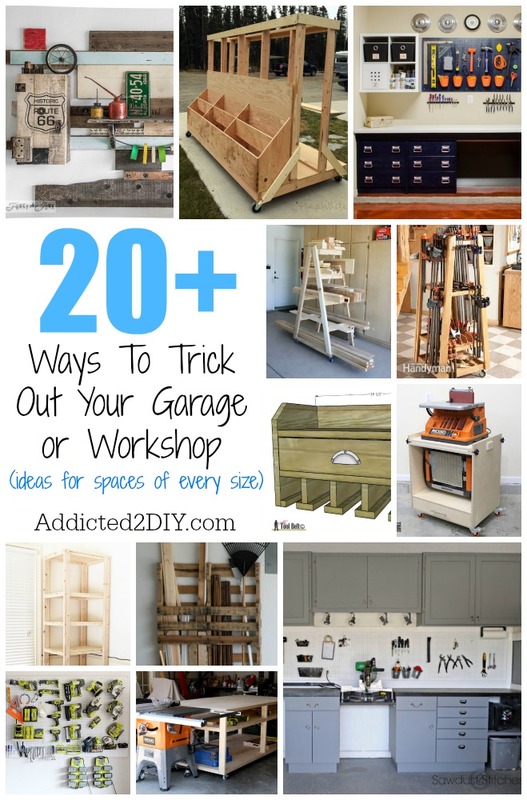 I asked a few of my insanely talented blogging friends to share with me some of their amazing garage and workshop ideas and then I did some searching for a few more. What better way to feel inspired than by putting everything here in one place! These ideas aren’t just for a mega shop. 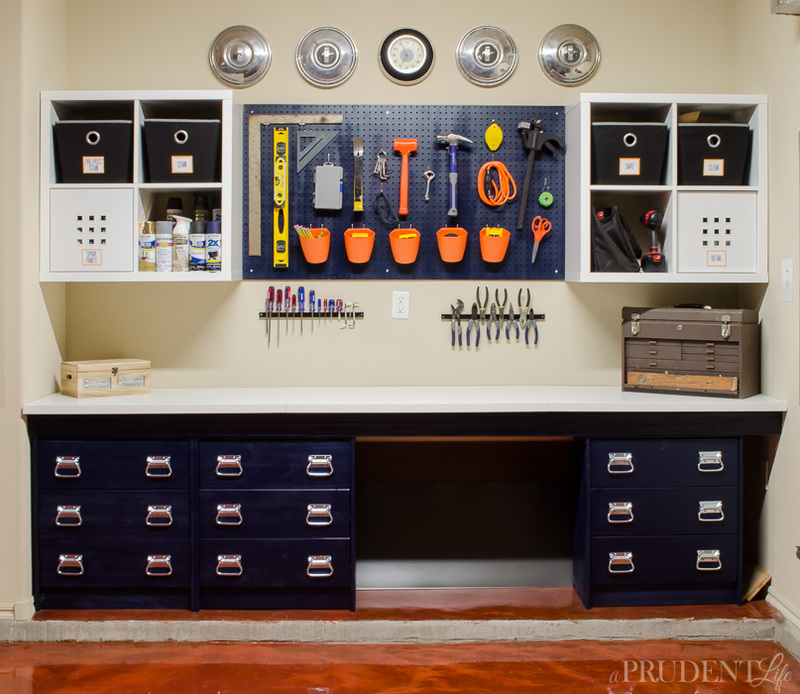 You’ll find ideas for any sized garage or workshop. Are you ready to feel inspired? Let’s get started! 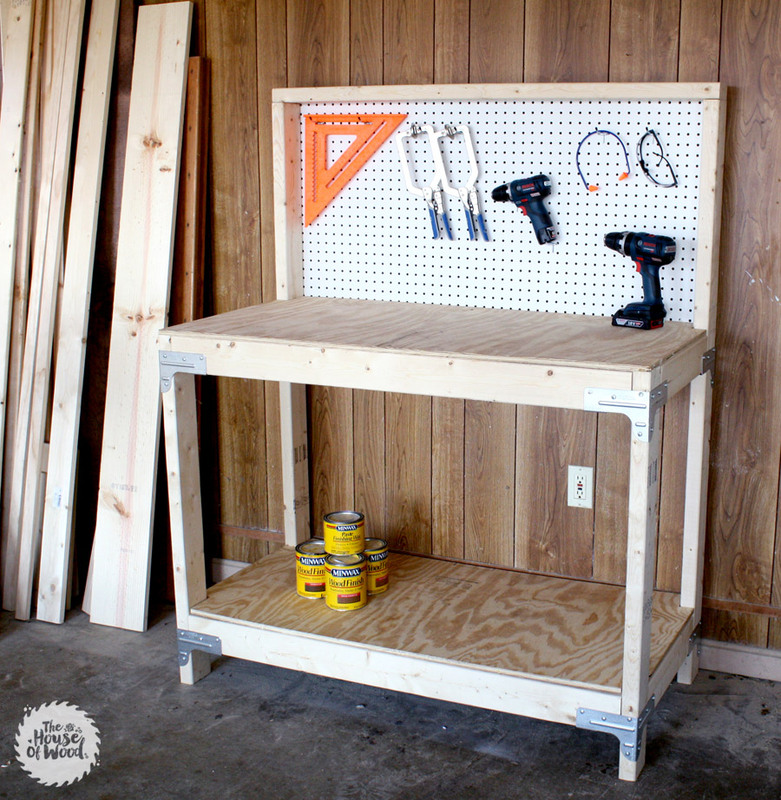 Build a work table with tons of storage that doubles as an outfeed table. Get the tutorial from Sawdust 2 Stitches. 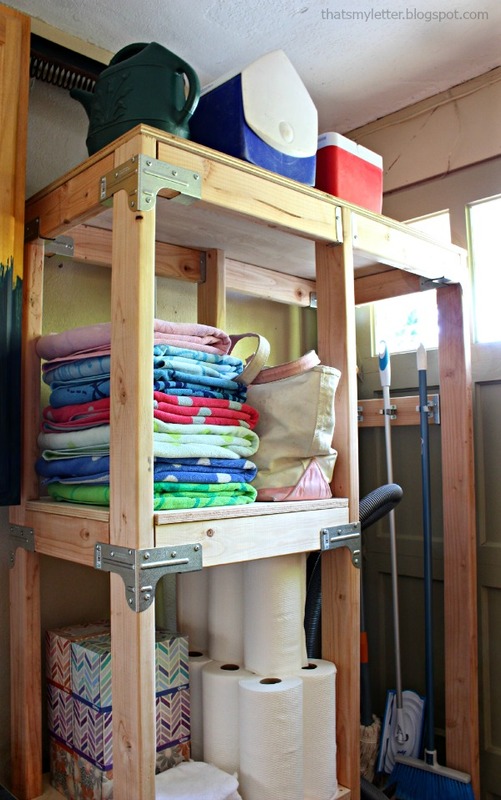 Keep your garage or workshop tidy with this storage tower that also holds your brooms and vacuum. The free plans and tutorial are available at That’s My Letter. 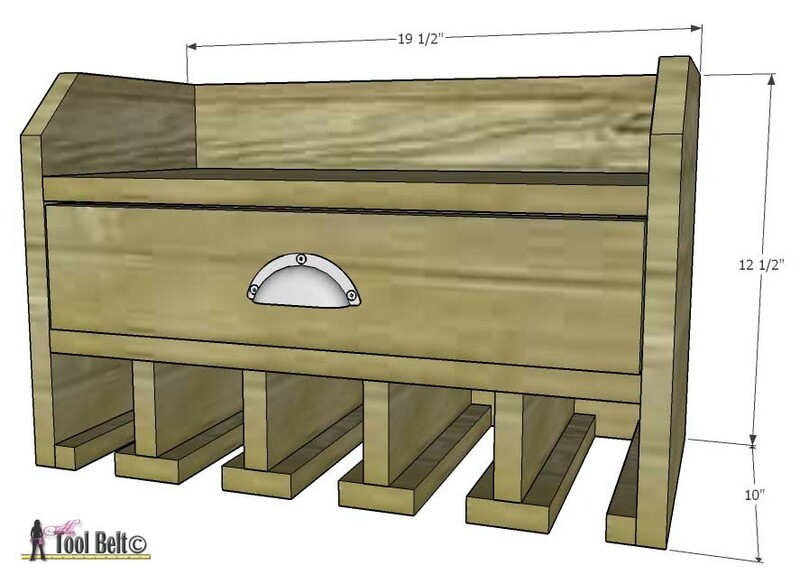 Keep your drills organized and have a place to charge them using these free plans from Her Tool Belt. 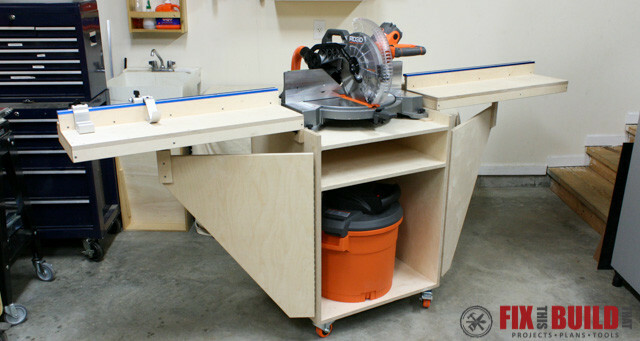 Maximize the space you have with this awesome flip top tool stand. The plans and tutorial are from Fix This Build That. 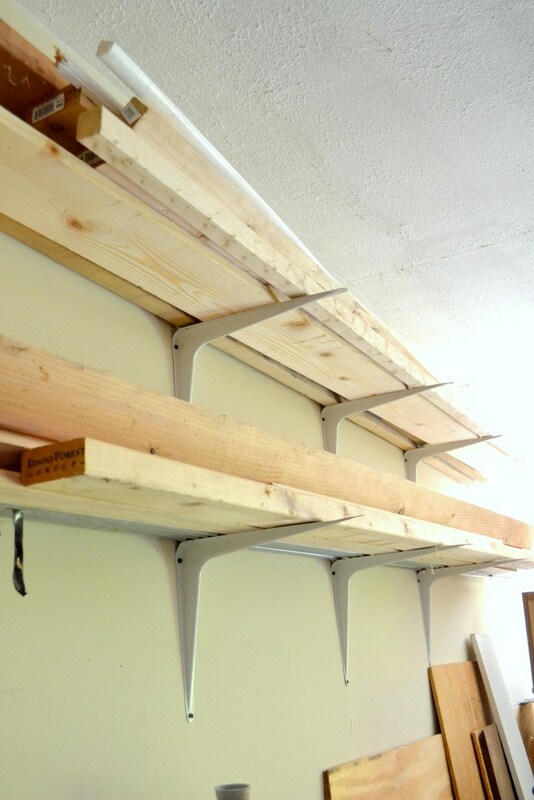 Looking for cheap and easy lumber storage? 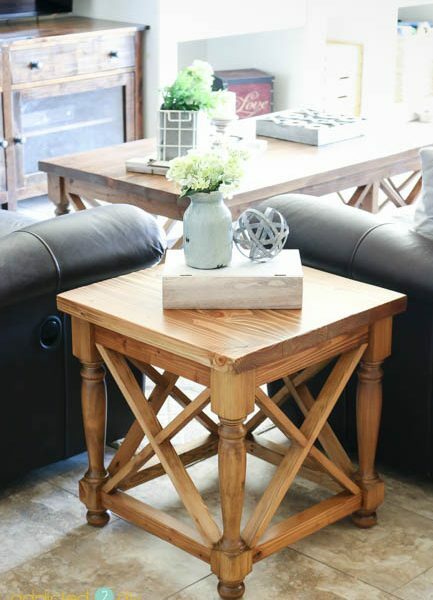 The Ugly Duckling House has you covered! 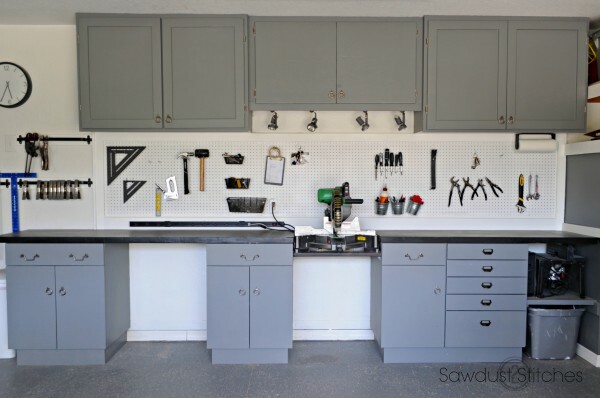 This pegboard from The Ugly Duckling House serves multiple purposes and really makes great use of space! 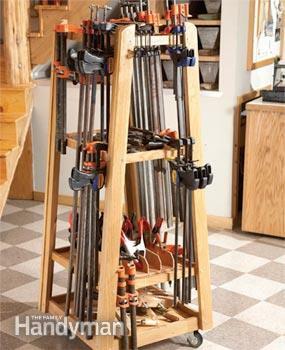 Looking to build the ULTIMATE lumber rack? Ana White thought of everything when she put these plans together. 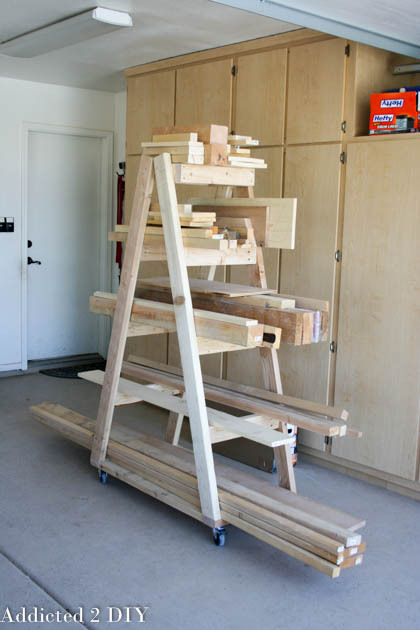 While I can’t wait to build my own ultimate lumber rack, this one I built using plans from Rogue Engineer has been worth its weight in lumber! Got clamps? 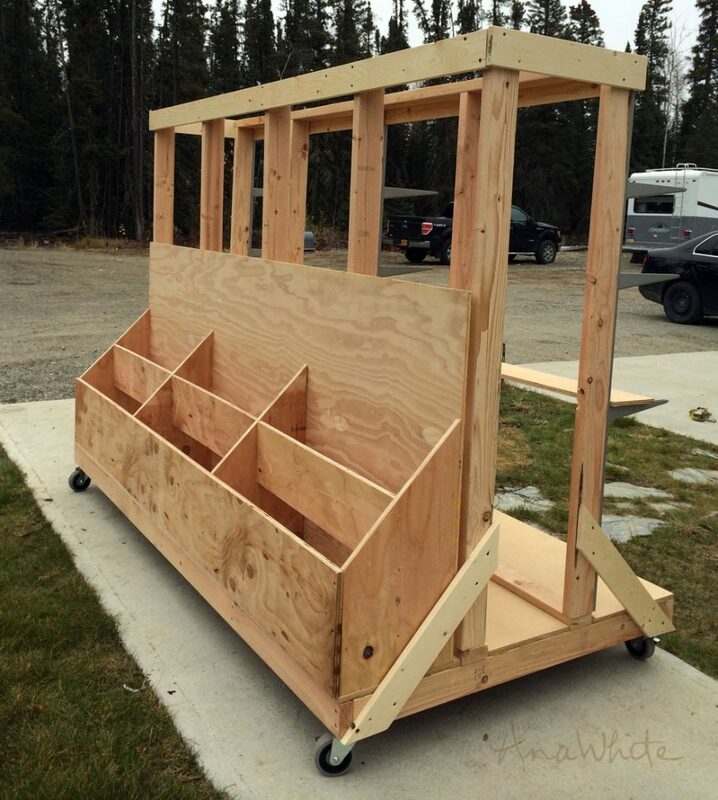 A builder can never have too many and this mobile clamp cart from The Family Handyman would always have them within reach. This pallet organization from Unexpected Elegance is not only FREE, but it’s genius! Create an organized and beautiful workspace using inexpensive items from IKEA! Melissa from Polished Habitat has the full tutorial. 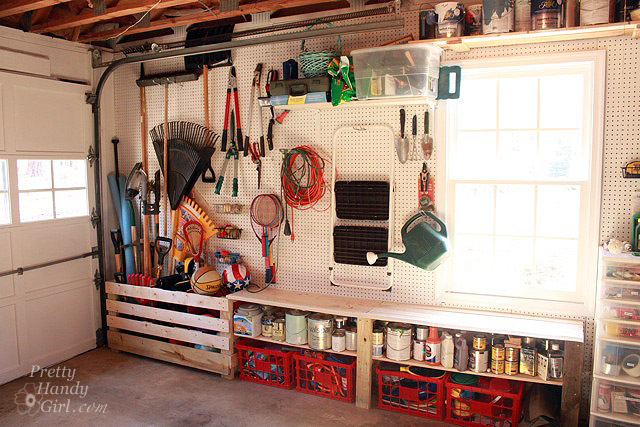 Get your garage back into ship shape with some great storage tips from Pretty Handy Girl! 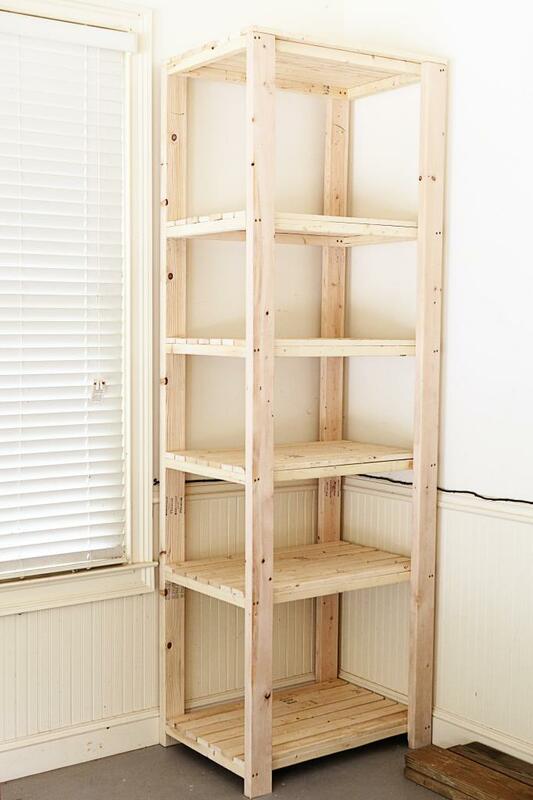 This storage tower is perfect for organization in a small work space. You can find the full tutorial at Bower Power. 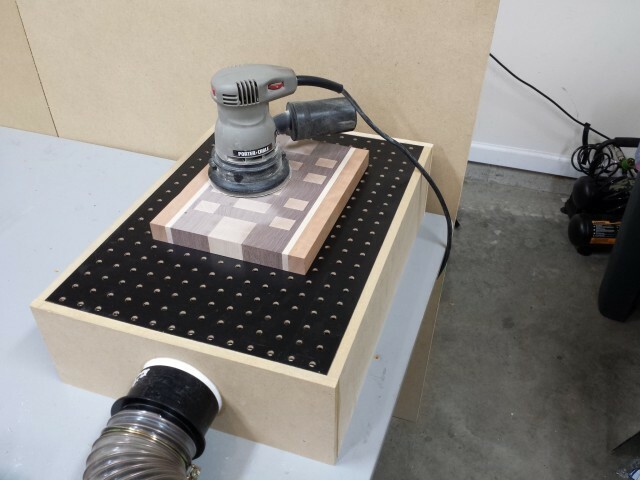 Take control of sanding dust with this DIY downdraft sanding table from Fix This Build That. 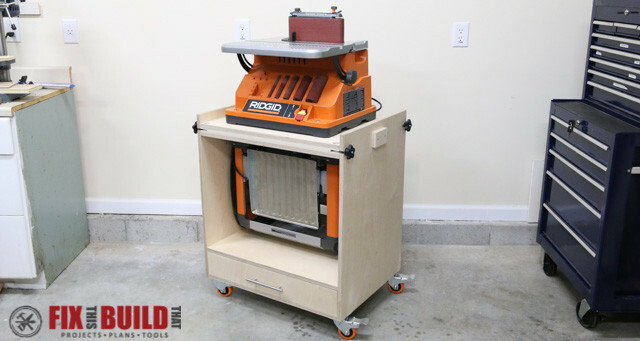 This mobile miter saw station makes cutting down those long boards easy, plus it folds up into a nice, compact package. 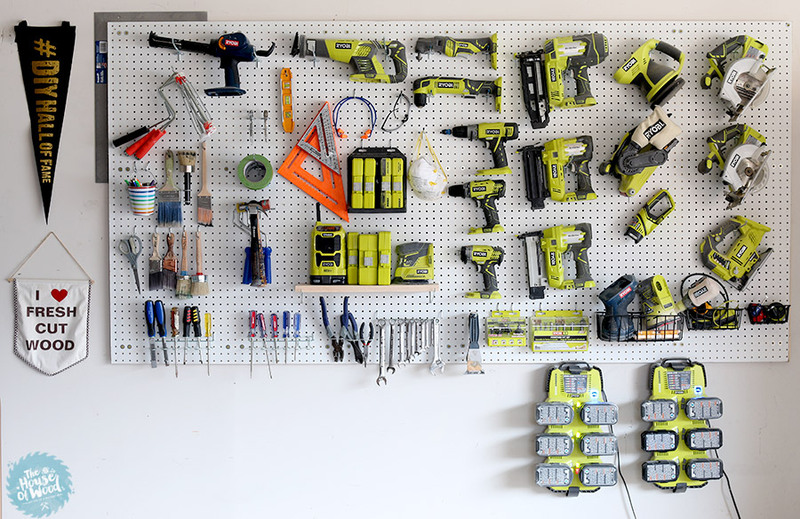 Keep all of your power tools organized and easy to reach with this garage pegboard from The House of Wood. 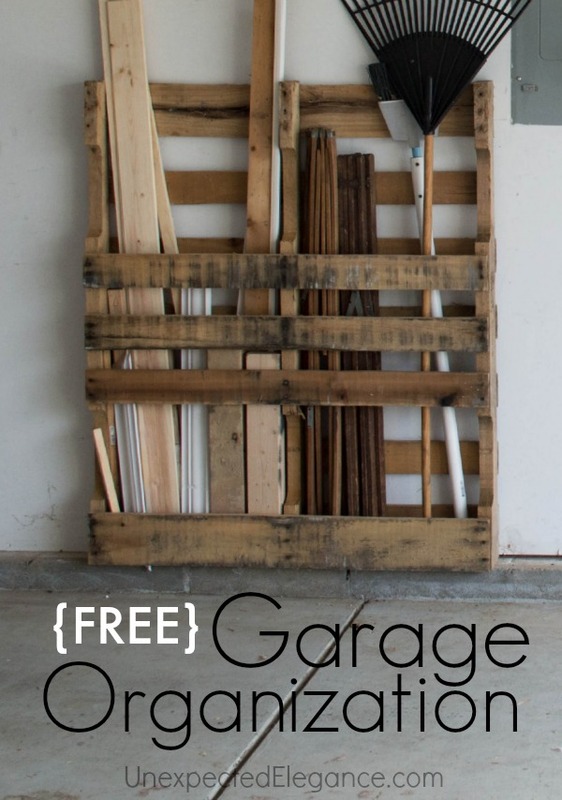 Who doesn’t love FREE garage storage! 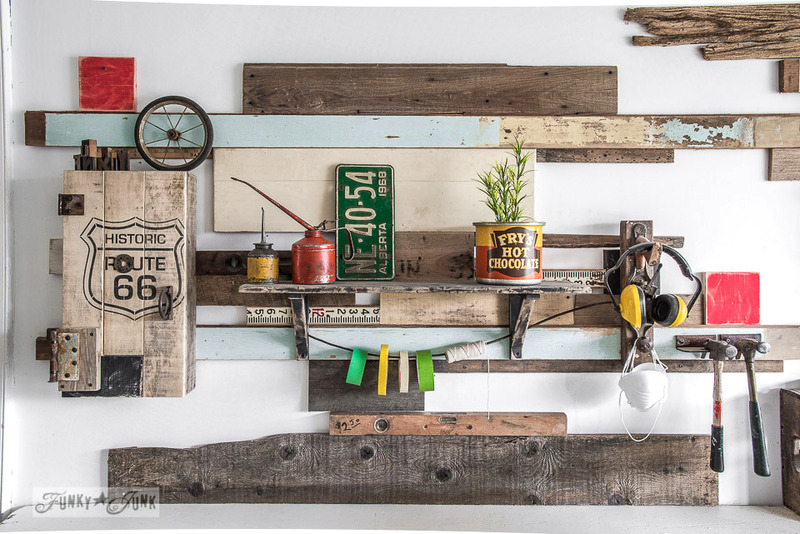 Check out how Funky Junk Interiors built her work station with curbside finds. 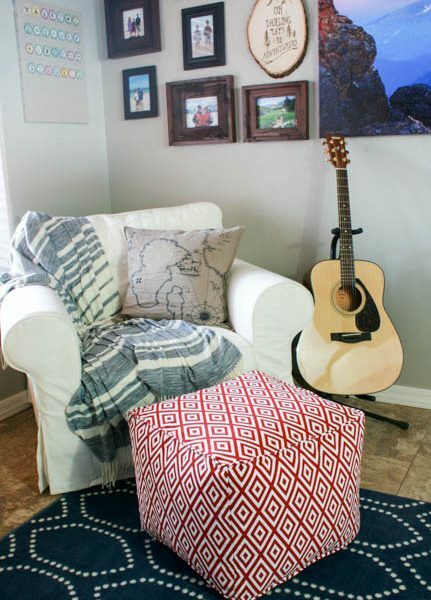 Corey from Sawdust to Stitches created her beautiful, organized workspace by tricking out some free Craigslist finds! 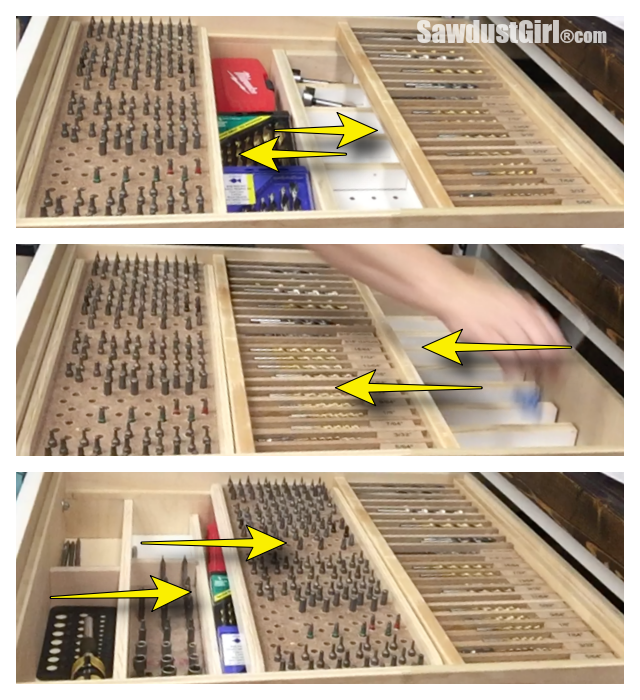 Never go fumbling around drawers for drill bits and screw bits again with this DIY organization from Sawdust Girl. 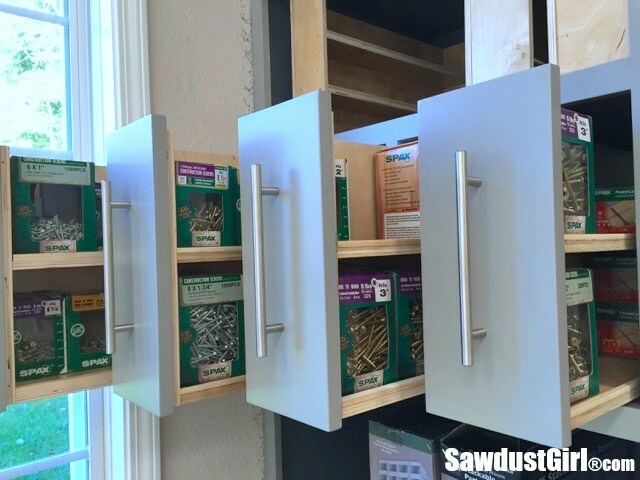 Screws need a place to stay organized as well and Sandra from Sawdust Girl built some amazing vertical storage drawers to do just that. 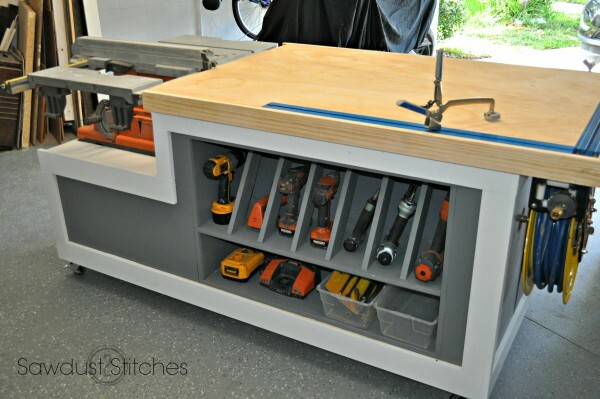 If you don’t have a lot of garage real estate to work with, Jen from The House of Wood shares how to build this simple, but uber functional work bench. 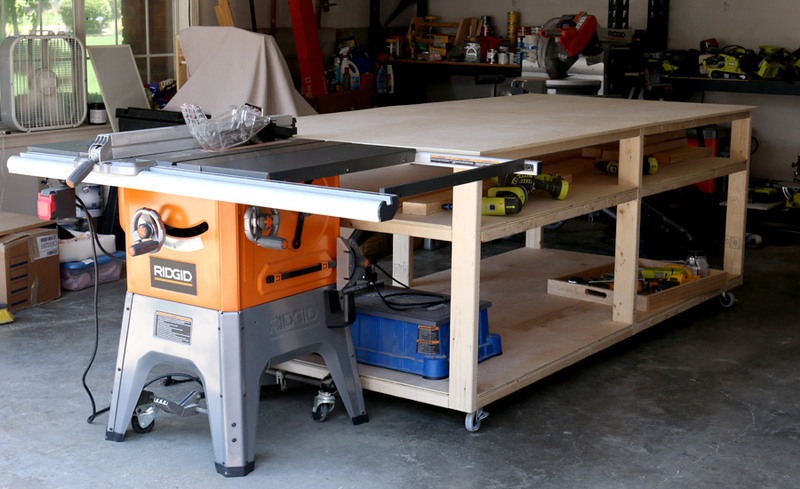 If you have a little more space to work with, Jen also shares how to build this huge workbench that also doubles as an outfeed table for her table saw! 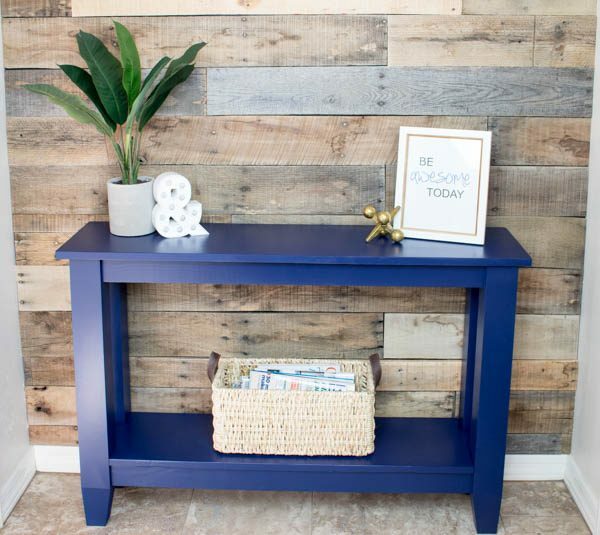 Kim from The Kim Six Fix shares how she turned her messy garage into not only an organized workspace for herself, but also included a mini mudroom for her family to use. I definitely am feeling so inspired by all of these great ideas to transform a garage or workshop into the most efficient space possible. I can’t wait to get building in our workshop and share with you all of the ways we turn it into a fully functioning shop. 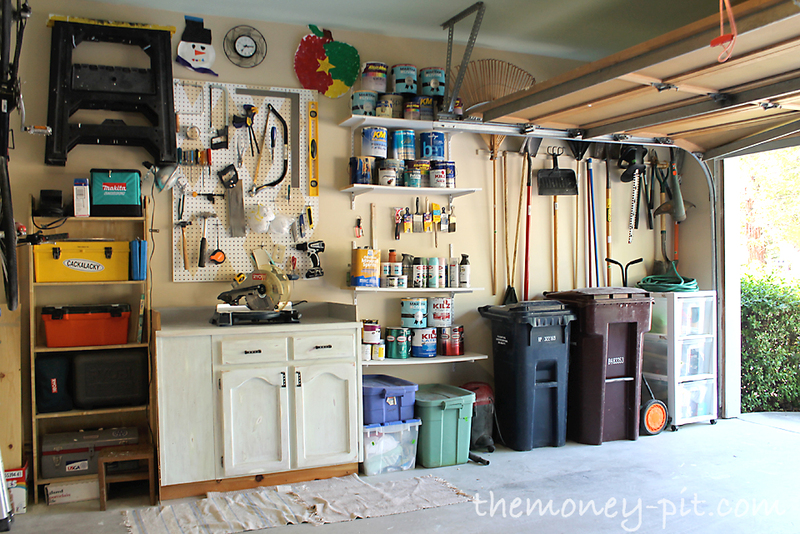 Do you have any tips to share on how you made your workshop or garage work best for you? I’d love to hear them! Given the amount of space I have to fill, I need all of the help I can get! Be sure to visit all of these blogs to learn how they created all of these projects and spaces and make sure to share and pin it for inspiration later on! If you’re just starting to get your feet wet when it comes to DIY, here’s a great list of tools that are a must-have for your DIY projects! previous article: A Simple Coffee Station, Plus My Latest Obsession! Thanks for including our garage towers! Such a great roundup of projects! Thanks for including my garage towers! 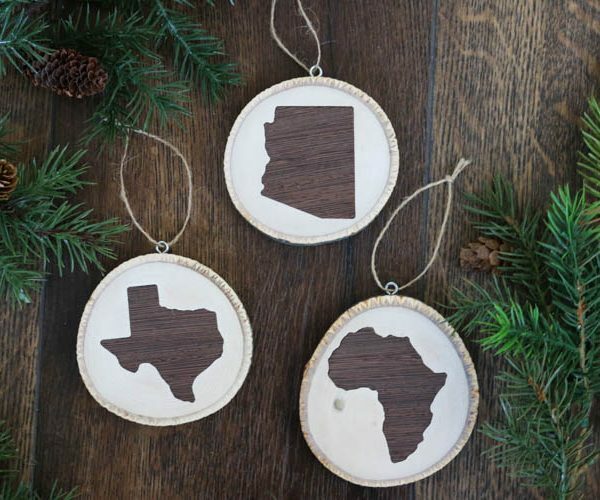 Such a great roundup of projects! Absolutely! It’s a great storage idea! Thanks for sharing my garage projects! Great roundup.